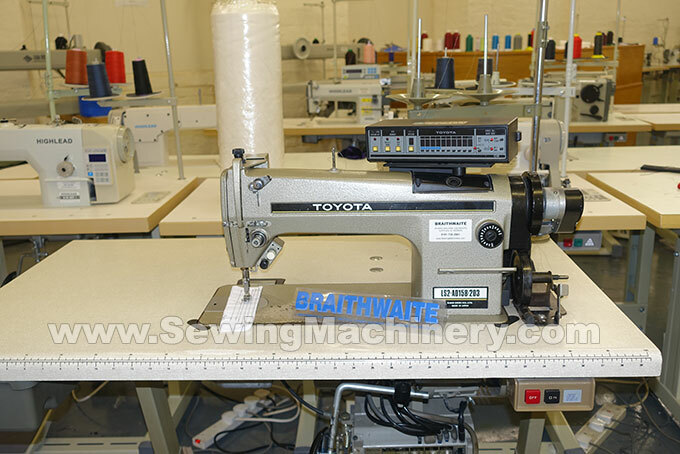 Toyota AD158-203 single needle lockstitch sewing machine with auto thread trimmer, stitch program, auto reverse and single phase 220-240V electronic needle position motor. 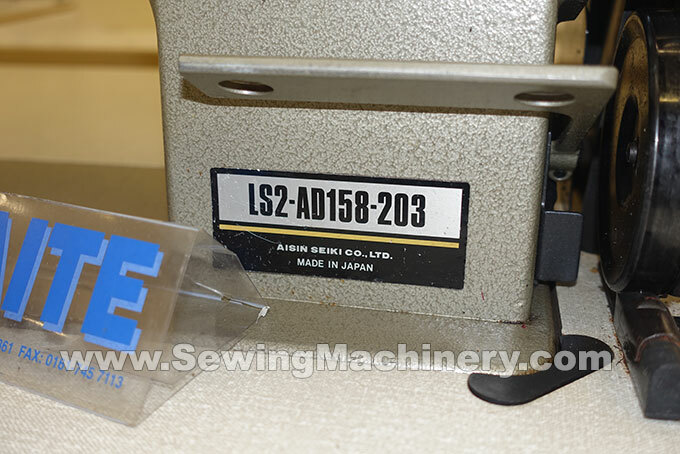 Made in Japan by Toyota . 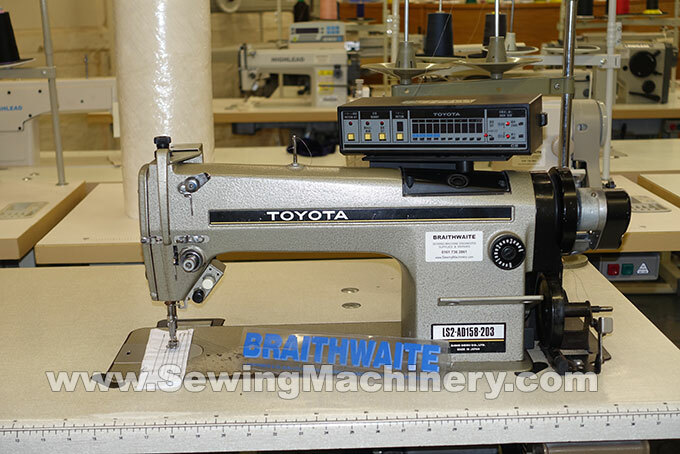 Used machine serviced & tested with 60 days warranty.